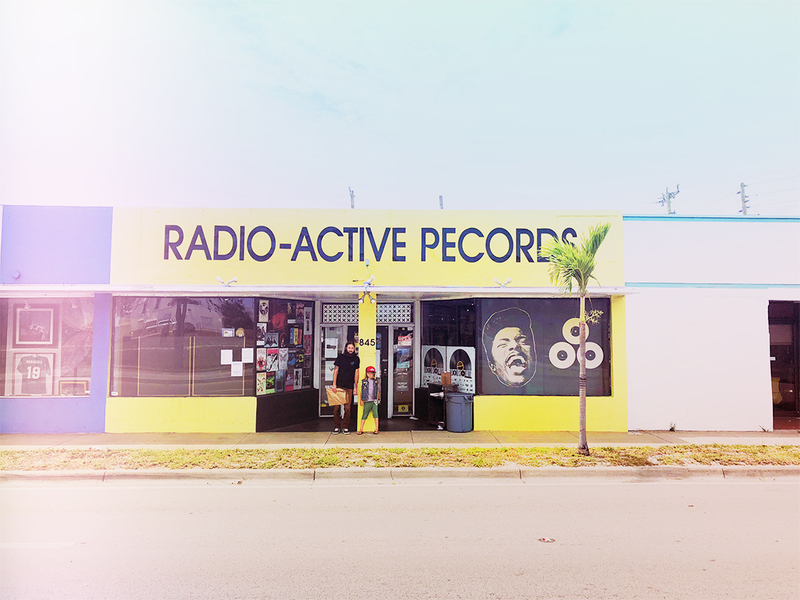 Saturday April 21st was Record Store Day so we took a trip to Radio Active Records in Ft. Lauderdale, FL. 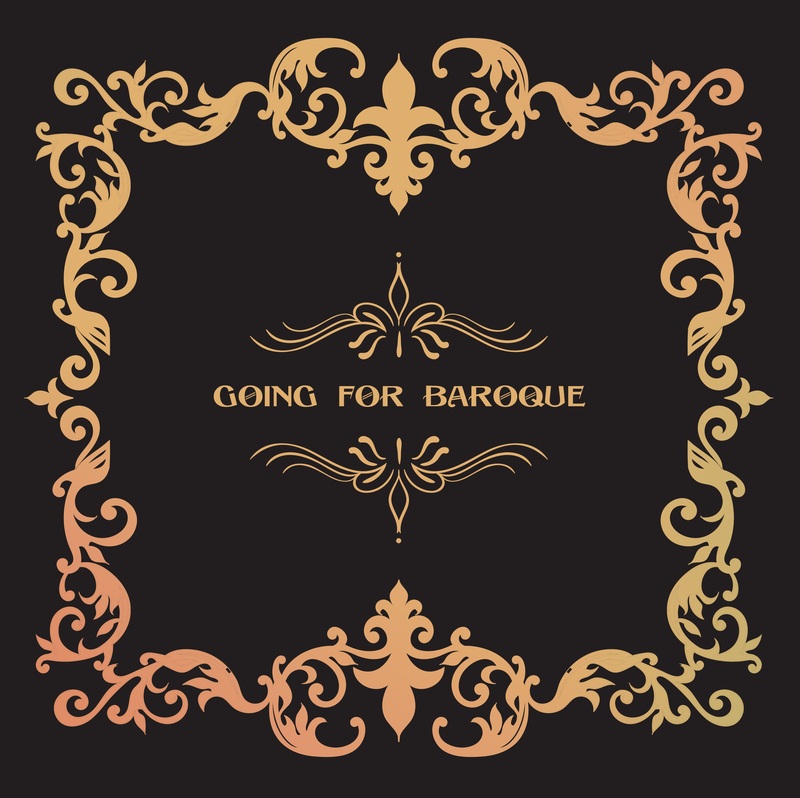 Now the folks that are fanatical about getting the pick of the limited RSD releases will line up early but that’s not really our thing, so we showed up in the afternoon to avoid the crush. 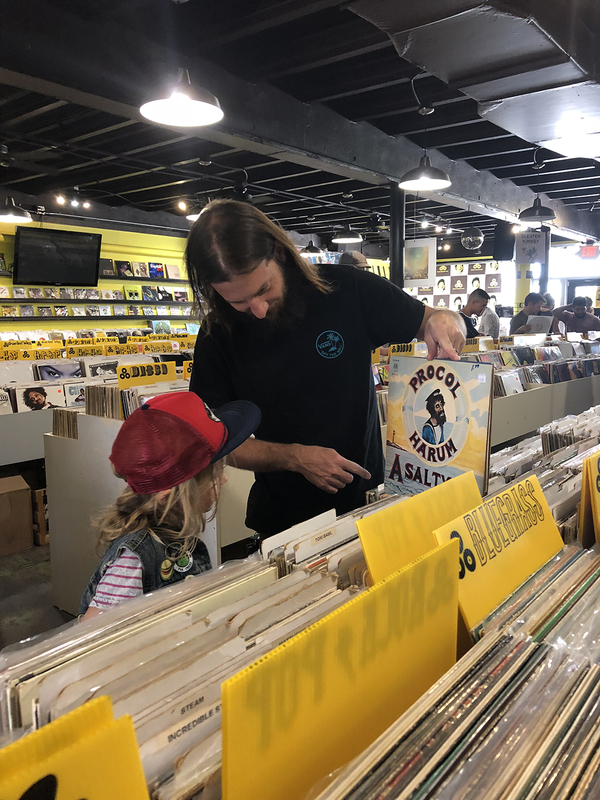 We tend to seek out record stores whenever we’re traveling because we want to teach our son not only appreciation for music on vinyl but also for the stores themselves, which are an excellent example of independent business and a unique culture. 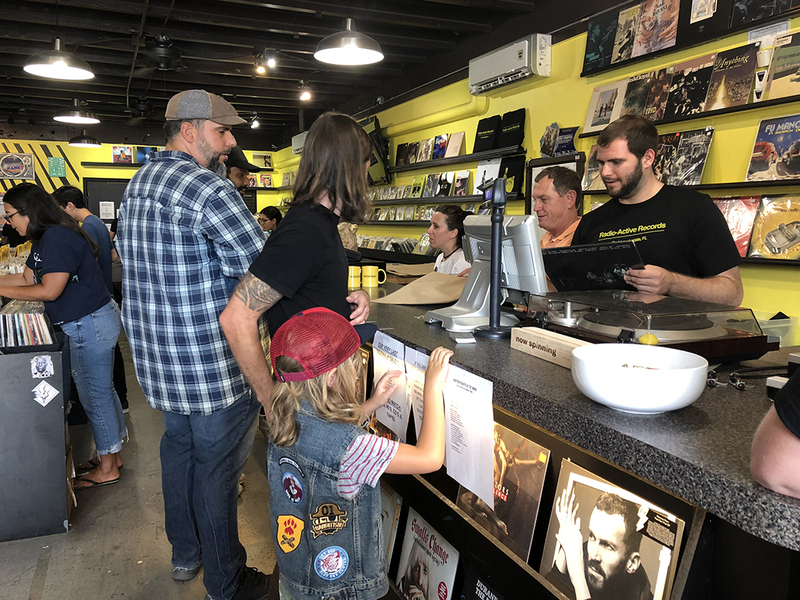 Although we avoided the early crowd, Radio Active Records was still bursting with folks that were eagerly thumbing through not only the limited releases but throughout the store. 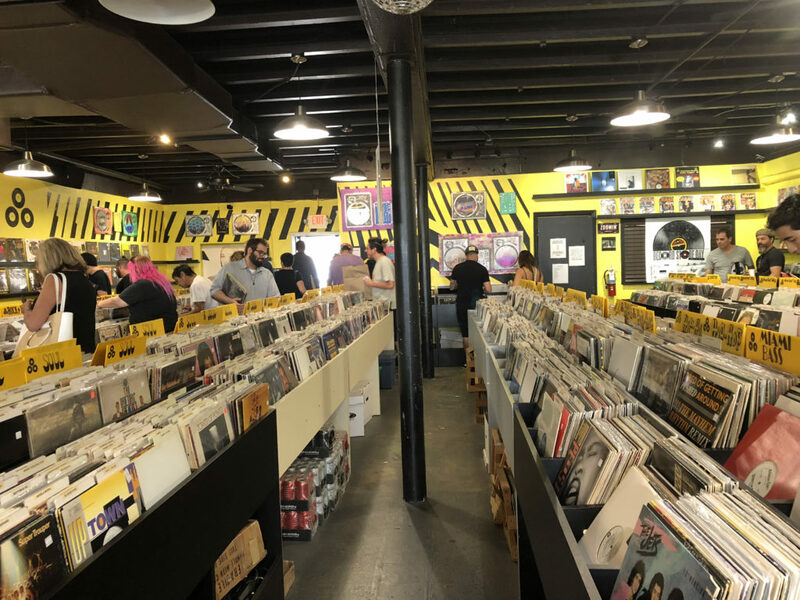 It’s always neat to see the transformation within a record shop of what is commonly a fairly solitary shopping environment to the lively scene you find on Record Store Day. 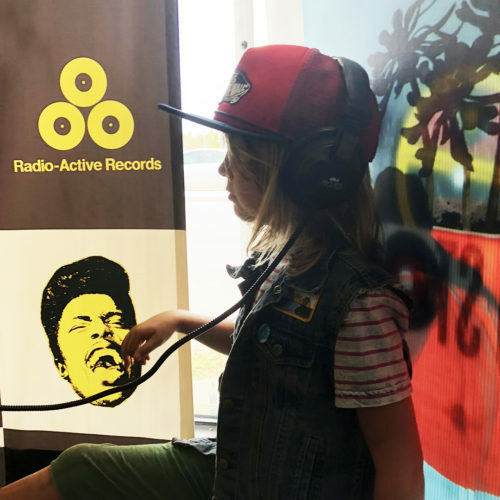 If you’ve never taken your kids out to experience Record Store Day, we would highly encourage you to go to www.RecordStoreDay.com and find a local record store that participates in the worldwide event. 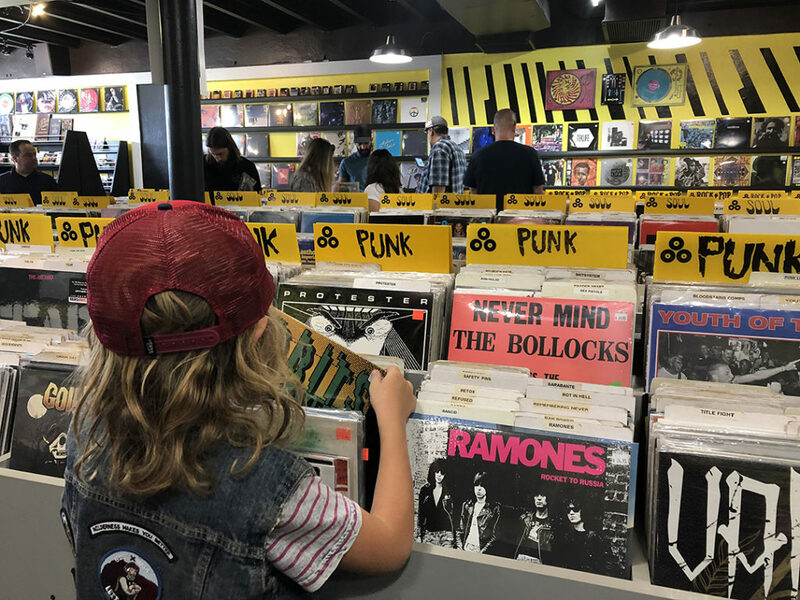 Of course you don’t have to wait a year, you can cruise on down to your local vinyl peddler anytime, and depending on your kids, it might be a better introduction when the store is a bit more mellow. It doesn’t have to be an expensive outing, while a new record these days will set you back somewhere in the ballpark of twenty to forty dollars, most shops have dollar bins. 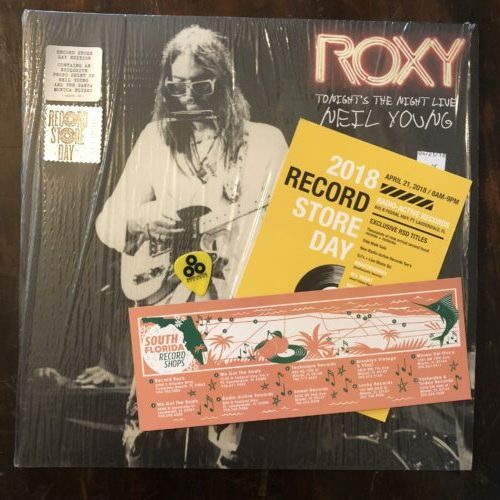 It’s rare that we buy records new, but Record Store Day is a good occasion and we lucked into the last copy of Neil Young’s Live at the Roxy so we snagged it. But although doing our small part to put a few bucks in the till of an independent business is good practice and a good lesson for the kiddo, the experience is what we truly value. 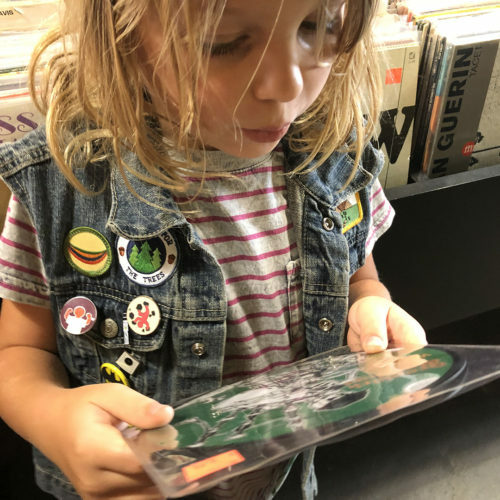 Our kid discovered a few bands that are new to him and that he really likes, we explored album art, hunted for used copies of albums from bands we love, and most importantly the experience was another way to fan the flame, to continue encouraging love for music. 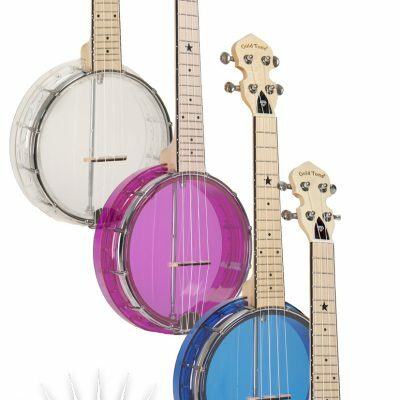 If you’re curious about Record Store Day or to find a record store in your area, visit www.RecordStoreDay.com. 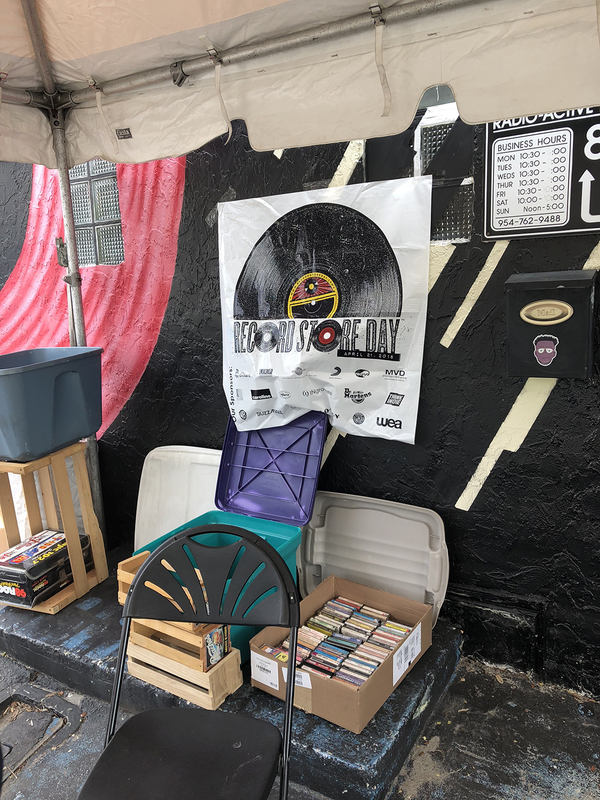 If you happen to be in South Florida, make time for a visit to Radio Active Records at 845 N. Federal Highway in Ft. Lauderdale. 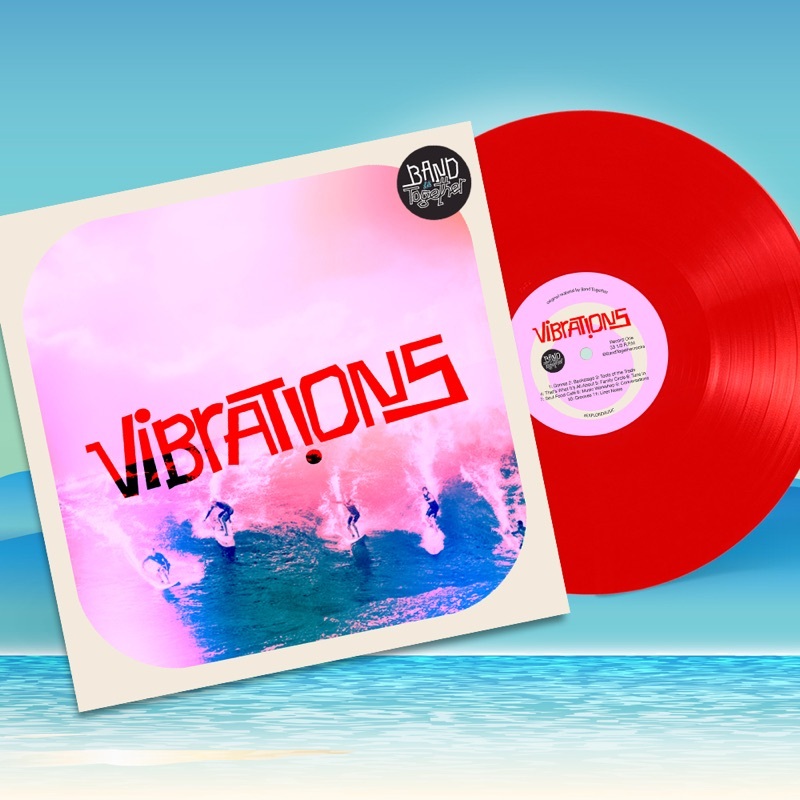 You’ll also find them on instagram, Facebook, Twitter, and at www.radio-active-records.com.